Sometimes people want a custom wallpaper border instead of a full wall mural. We can do that! Typically, we will print the wallpaper borders as 9 or 12″ strips, with an inch of overlap where they are to fit together. 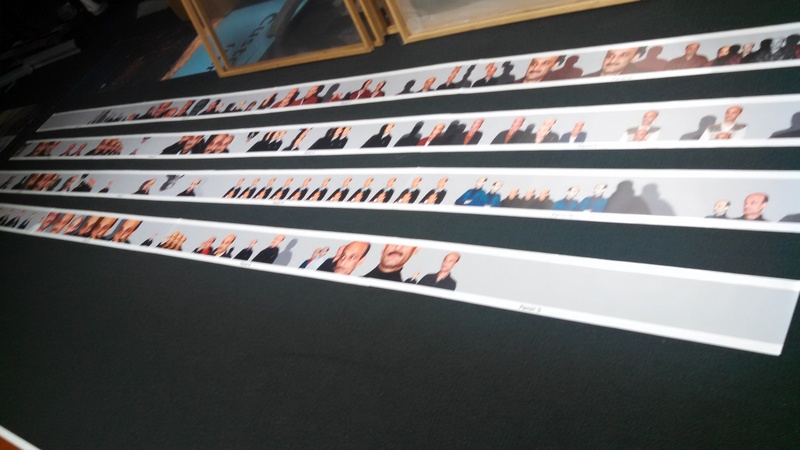 So, if you needed 40 feet of 12″ custom printed border, we would send you 4- 10’1″ strips a foot wide. That uses the material efficiently, since it comes to us in 54″ width rolls. In the picture above you get an idea of how a customer’s order is printed. If we had printed him a single roll 50 ft long, he would probably have had to cut it into pieces to install it anyway! This entry was posted in Custom Printed Wallpaper and tagged wallpaper borders, wallpaper edging, wallpaper trim. Bookmark the permalink.